Although it is nice to think that nothing bad will ever happen to us, the truth is that public liability claims are a necessity for many people. In the following post, we will explain all you need to know about making a public liability claim. We cover everything from what constitutes a public liability claim to how you go about making one and finding the right person to represent you. If you believe you have been the victim of an accident in public, read on to discover how you can get the compensation you’re entitled to. What Exactly Counts As Public Liability? Public liability can be explained as the duty of care a business, organisation or individual is responsible or owes the general public to ensure a public area or space is safe for use. 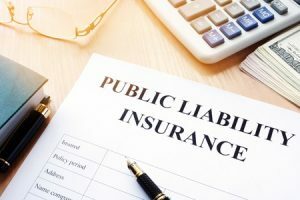 Companies are advised to take out public liability insurance to enable them to give compensation to members of the general public who are injured on their property or areas when they are at fault. What Is a Public Liability Compensation Claim? What Kinds Of Accidents And Injuries Qualifies For Public Liability Claims? Trips, slips and falls that have been caused by untreated surfaces in winter weather, poorly maintained pavements and footpaths and potholes. This can apply to areas such as car parks, schools shopping centres, supermarkets and damaged stairwells. Objects causing injuries, either by falling from a height onto the public, or sharp objects that should have been moved or covered over to make them safe. Obstructions on a footpath road or any other hazards that can cause trips. Though the above list is not exhaustive, it gives you a good idea of the kind of accidents and injuries you should make a public liability claim against. therefore, if you have experienced any of the above or something similar, should contact a personal injury lawyer to start the claim process. What If The Property Or Public Area Owner Does Not Have Public Liability Insurance? In the event that the owner of the property or the person or organisation responsible for the public area where you suffered from injuries or had an accident does not have public liability insurance, don’t worry. You are still eligible to make a claim for compensation. Rather than the owner is responsible for paying compensation, you would make the public liability claim against the person or party who was at fault. This makes recovering damages harder if they don’t have enough money to pay you or they go bust. A personal injury lawyer will be able to help you out and discuss the risks of your claim not being successful. What Do You Need To Do To Make A Claim? In order to put forward a successful claim for public liability compensation, you need to prove with clear evidence that the injury was not your fault. Report the incident immediately when it happens to either the owner or the member of staff responsible at the time. Make sure your accident is recorded in an accident book. Take contact details of any eyewitnesses of your accident. If your accident involves uneven or damaged pavements, it is a good idea to use a coin (like a 50p or 10p piece) or ruler and stand it upright in or beside the lump or hole before you take photographs to show the height/depth better. If you plan to claim expenses along with your public liability claim, including travelling expenses and the costs of prescriptions concerning treatments, you need to keep your receipts as the evidence. If there are any video cameras or CCTV in the area, you could approach the owners and request a copy which shows the time of your incident. This is more than likely to be the strongest evidence you could obtain when it comes to making a public liability claim. How Do You Start A Public Liability Claim? There are strict time-frames in place for when you are allowed to make personal liability claims. Therefore, if you are looking to make a claim, you need to start the process within three years of when the accident occurred. However, if you are under the age of 18, and experience an accident that results in an injury, the time limit starts from the date of your birthday when you turn 18. As personal injury and public liability law are complicated, it is not advisable to put forward a claim representing yourself. It is inevitable that the opposing side would use their legal representative’s knowledge to undermine any aspect of your case even if there is video evidence. Make sure you contact a personal injury lawyer with experience in public area accidents, and they will be able to help you out with making a successful claim which sees you receiving the compensation you are entitled to. The UK’s biggest personal injury website LegalExpert.co.uk very helpful and free live chat. The Accident Claims Company website AccidentClaims.co.uk providing in depth guides to council claims. Beckett & Co Solicitors website BeckettAndCo.co.uk with advice on common supermarket accidents. Advice UK. One of the UK’s biggest legal advice websites is Advice.co.uk vey helpful and provides personal injury advice. Thorntons. The Thornotns-Law.co.uk website with a detailed guide to pothole accidents that have caused injury. This entry was posted in Public Liability on February 21, 2018 by admin.